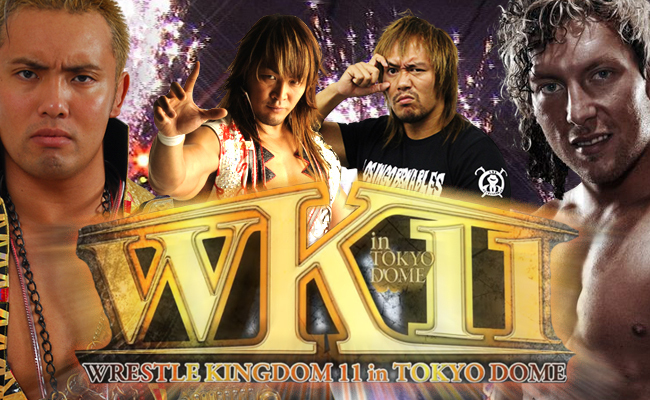 AXS TV is proud to announce it will premiere New Japan Pro Wrestling’s biggest show of the year, “Wrestle Kingdom 11,” in a four-part TV event starting Friday, Jan. 13, the week after it takes place at the Tokyo Dome in Tokyo. In addition to WRESTLE KINGDOM 11, AXS TV also renewed the popular weekly wrestling series for over 50 episodes in 2017 and it will premiere an hour earlier at 8pE/5pP. AXS TV’s acclaimed commentary duo, WWE Hall-of-Famer Jim Ross and former UFC Heavyweight Champion and NJPW veteran Josh Barnett, will call the action for WRESTLE KINGDOM 11. The first of four Friday night WRESTLE KINGDOM episodes kicks off Jan. 13 with WRESTLE KINGDOM 11’s scheduled main event featuring four-time IWGP Heavyweight Champion Kazuchika Okada, who defends his championship against 2016 G1 Climax Tournament Champion Kenny Omega. The highly anticipated bout is the first meeting between Okada and Omega, who was a breakout star in 2016. The second episode on Friday, Jan. 20 will feature the scheduled co-main event match between NJPW legend Hiroshi Tanahashi and IWGP Intercontinental Champion Tetsuya Naito. The scheduled matches for the final two episodes from WRESTLE KINGDOM 11 will be announced at a later date. Opinion: AXS TV is doing a great job at making New Japan Pro Wrestling feel like a main priority for them. I just hope to see a better turn around on getting fresh content out.